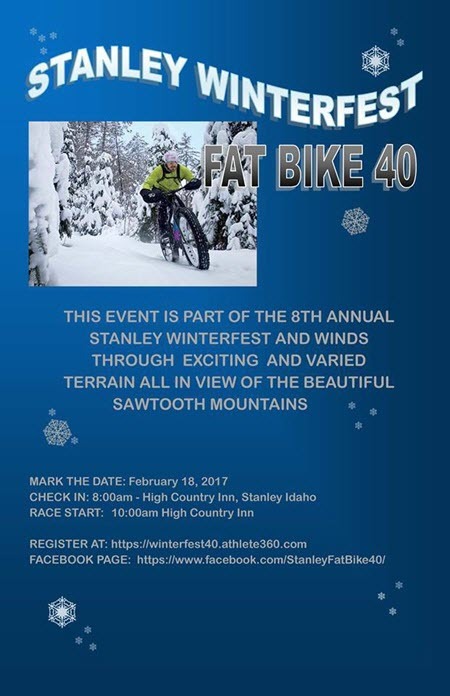 Come ride in Stanley Idaho's Winterfest Fat Bike 40! This event winds through exciting and varied terrain, all in view of the beautiful Sawtooth Mountains. This event is part of the 8th Annual Stanley Winterfest. Come for the event, stay for the music, food and fun Winterfest activities.